9 Eyeliner Mistakes That Are Keeping You From Dreamy Cat Eyes! Which one of us does not want perfect cat eyes? Unfortunately, as we all know, they’re pretty hard to achieve. Here are 9 eyeliner mistakes that might be holding you back from getting those catty eyes! So read on to know what mistakes you should never make while applying eyeliner. 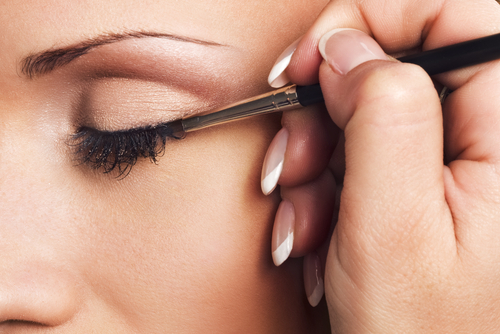 To make sure that your liner stays on and doesn’t run, using a primer is very important. Use an eye primer on your eyelids before putting on your liner and see the difference through the day. It will help to keep your eyeliner from smudging, and your journey to perfect cat eyes will be one step closer! Lining both your upper and lower lids will instantly make your eyes look smaller. If you are looking for bigger eyes, the trick is to use eyeliner on the upper lash line. If you want to do your lower lash line, only use liner on the outer part of your waterline instead of the whole thing, starting from the inner corners. Most of us, in order to make the eyelid area smoother and more taut, pull or tug at it while applying eyeliner. Big mistake. As soon as you stop pulling, the skin will snap back to its original position and your eyeliner will look bumpy and uneven. Also read: The Ultimate Korean Eyeliner Trick For Big, Beautiful Eyes! Eyeliners are of three different types: pencil, gel and liquid, and they’re not created equal. A liquid eyeliner is best for doing cat eyes, since it looks super dramatic. For the everyday look, a pencil eyeliner is the most convenient and easy to use. And remember to never use liquid eyeliner on your lower lashes, it just looks too heavy. ..between your eyeliner and lash line! There is often a space left between your eyeliner and your upper lash line, which affects the whole look. Try to apply your liner as close to the lash line as possible. 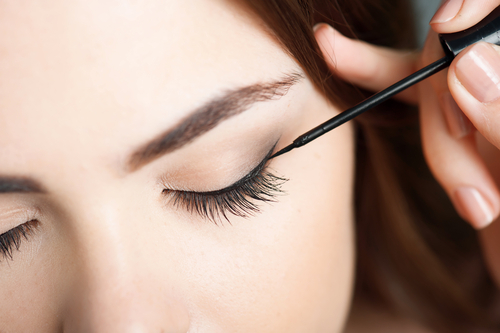 If there is a gap left, fix it with a technique known as tightlining, which is when you lift your lashes up a little and fill in the gap from underneath. Learn more about it here. If you’ve spent ages in creating the perfect cat eyes and are now going to curl your eyelashes - Stop! Always curl your lashes before you put on liner. This will prevent the eyeliner, close to your lashes, from transferring to the curler. 9. Trying to wing it with your wings! Don’t try to wing it freehand. It won’t work. No matter how hard you try, your hands won’t be steady enough to give you perfect cat eyes. 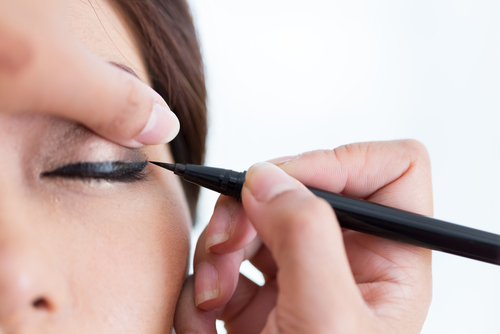 The trick is to use a clear tape or a spoon, placed along your lower lash line, to shape your eyeliner perfectly. You can watch the full tutorial here. Images: Shutterstock A place where girls can talk about ANYTHING. (No guys allowed!) ? ? Get the POPxo app NOW on Play Store and iOS App Store.